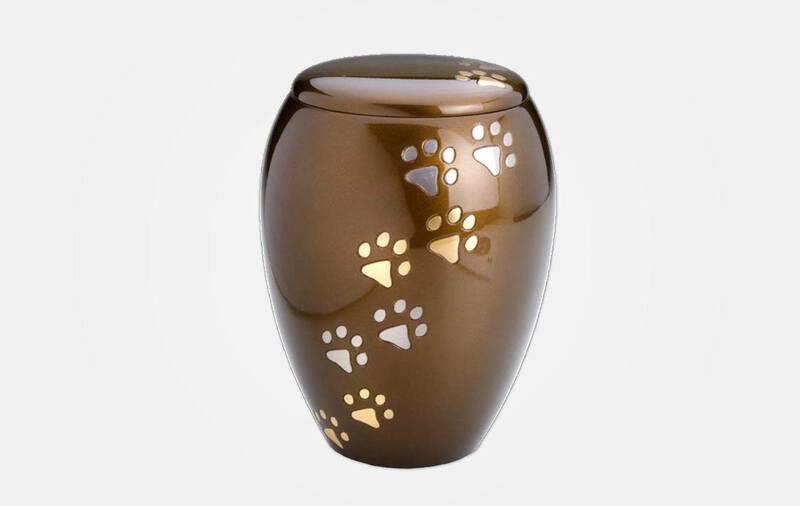 Our Majestic Paws Urn is similar to our PawPrints to Heaven Urn, but has a glossy bronze coat. Two-toned paw prints walk up the outside of this handmade urn. Small: 6″ high and 4.5 inches in diameter. 60 cubic inches. Should hold up to a 40 lb. pet. Medium: 7 inches high and 5 inches in diameter. 90 cubic inches. Should hold up to a 60 lb. pet. Large: 8 inches high and 5 inches in diameter. 120 cubic inches. Should hold up to a 80 lb. pet.